The Daily News in South Africa reported that Michael Cohen, a British swimmer who was attacked by a Great White Shark while swimming at Fish Hoek in Cape Town, South Africa is now in a stable condition. "He is conscious and in a stable condition," commented Constantiaberg Medi-Clinic spokeswoman Faye Kariem. The shark bit off his right leg above the knee and part of his left leg below the knee. 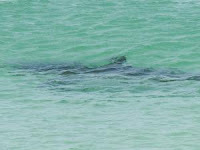 Reports on local officials stated that the shark had been swimming in Fish Hoek bay, causing the beaches to be closed. 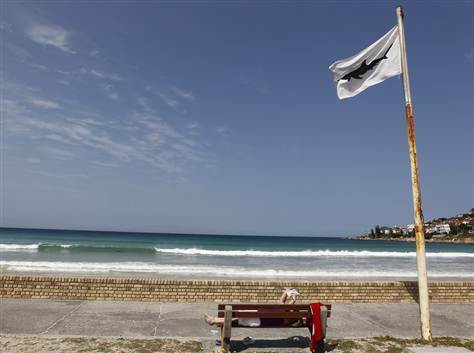 A white shark flag, indicating the presence of a Great White Shark, was flying when Michael entered the water. 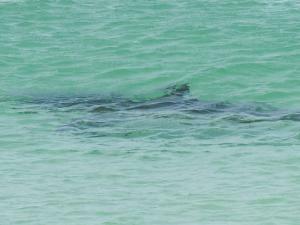 The Daily News reported that shark spotters had previously warned the swimmer about the dangers of swimming in the bay who lost 7 liters of blood and was in critical condition after the encounter. National Sea Rescue Institute spokesman Craig Lambinon said Michael was saved by Douglas Drysdale and Hugh Till who saw Michael swimming 25 meters from shore when the shark appeared in front of him. According to Craig, the sea was red with blood, when Douglas and Hugh jumped in the water. "Without hesitation, the two men kicked off their shoes, plunged into the water and waded through the surf to reach the injured swimmer. Douglas had called the emergency services before plunging into the water himself." Chekea y ademas navega por mi web site ... "revista de videojuegos pdf"